A new vision of community. 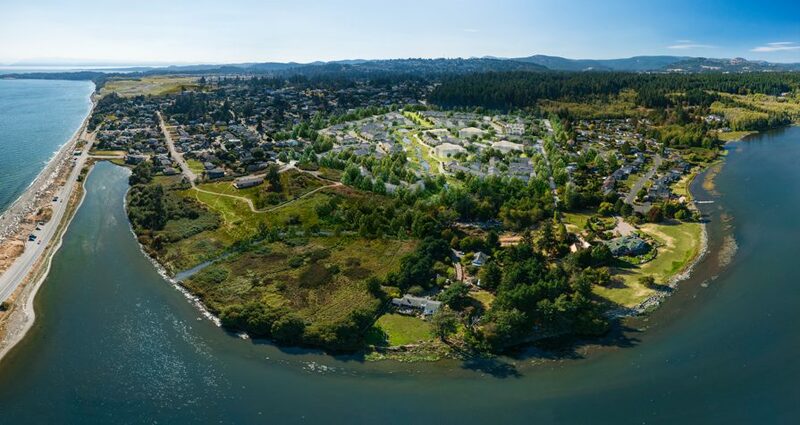 Nestled between the town of Colwood and the Esquimalt Lagoon Bird Sanctuary, Two Waters will be a modern village built with a deep respect for nature, art, design and community, featuring homes by acclaimed West Coast architect Paul Merrick. A unique master plan community. Landscape and design features that bring people and nature together, without disrupting local ecosystems. 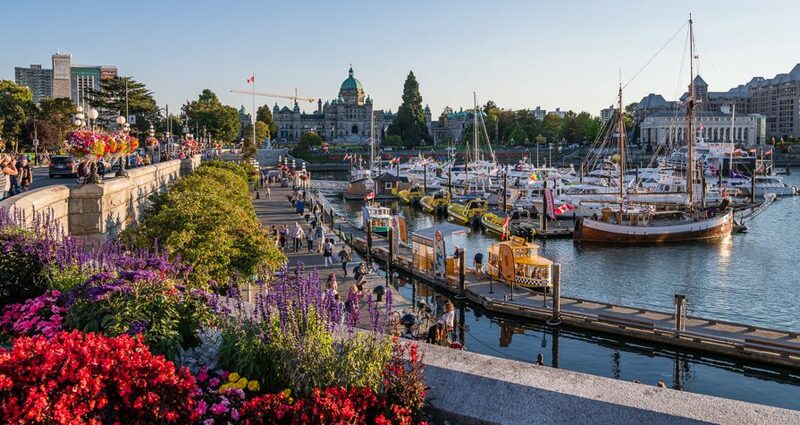 Minutes away from the city of Victoria, B.C. 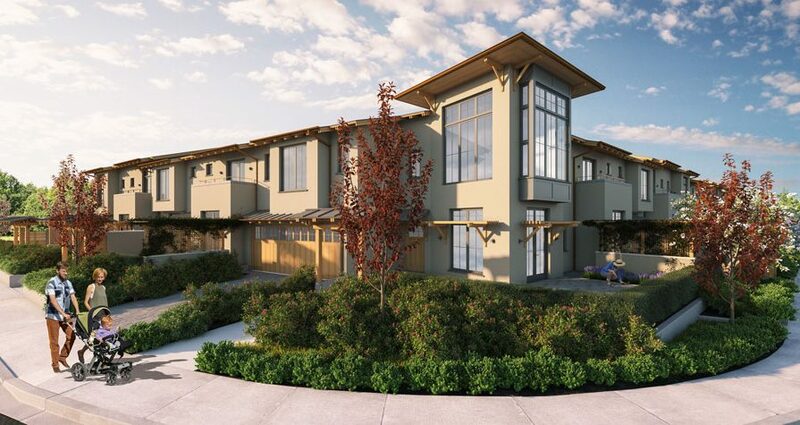 Community living that’s easy and enjoyable – right in the heart of nature. By acclaimed B.C. architect Paul Merrick. Homes inspired by post and beam construction, while reflecting elements of the natural landscape. 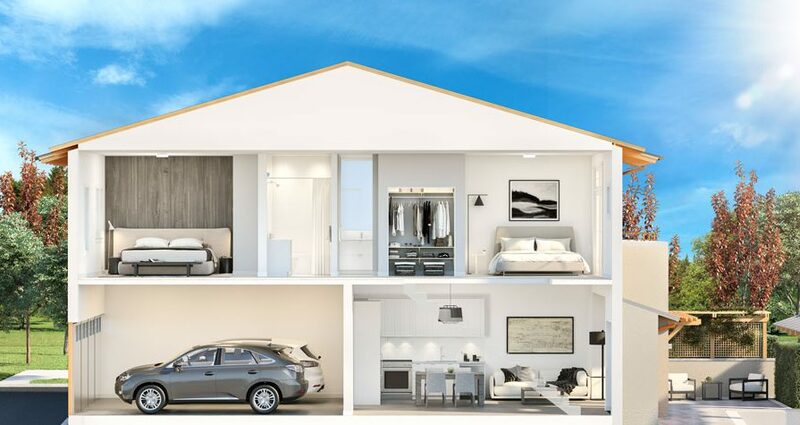 Both livable and functional, stacked townhomes are part of a vibrant community hub. Your message has been received. One of our representatives will contact you soon.